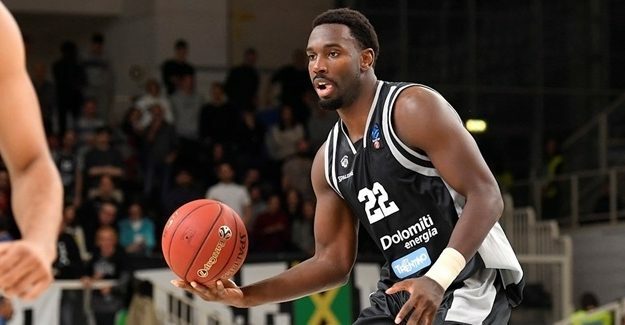 After allowing 98 points and 90 points respectively in the Game 1 and Game 2 losses to Olimpia Milano in the Italian League Finals, Trento put on some excellent defensive effort in Game 3 to win 72 – 65 and bring the series to 2-1. Trento silenced most of the offensive weapon of its opponents, dominated the battle of the boards 46- 34 with 17 offensive rebounds while having Dominique Sutton (19 points, 10 rebounds) and Dustin Hogue (18 points, 10 rebounds) in a top form on both ends. Dairis Bertans and Curtis Jerrells stood out from Milano with 13 points apiece. They were the only players in double figures from Simone Pianigiani’s squad that was out of sync in comparison to its performance in the first two Finals. Beto Gomes added 13 points and five valuable offensive boards for Trento.